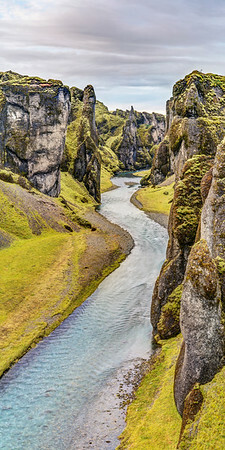 A compilation album of all the vertical panoramic photographs (at least twice as tall as they are wide) from http://www.glennlewisphotography.com. 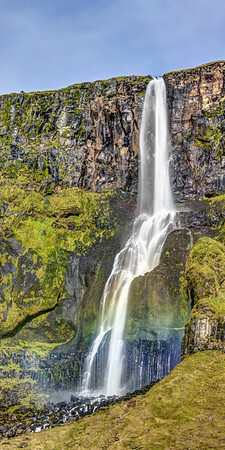 Bjarnarfoss is Icelandic for Bear Falls (or Bear Waterfall), which is odd because there are no bears on Iceland. Apparently, though, polar bears have historically ended up on or near the island, having drifted over on icebergs originating in Greenland. A 260 foot tall, 2 section waterfall, Bjarnarfoss can be seen from Highway 54, on the south side of the Snaefellsnes peninsula. The fog caused by the waterfall sometimes causes a rainbow to be visible near the lower portion of the falls – in fact, if you look closely, one is ever-so-slightly visible in front of the lower drop. Available in the following sizes: 10x20, 12x24, 16x32, 20x40, 24x48, 24x48 Triptych (3 x 24x16), 30x60, 30x60 Triptych (3 x 30x20), 36x72, 36x72 Triptych (3 x 36x24), 40x80, 40x80 Triptych (3 x 40x27). This is a shot I've been trying to capture for a long time. 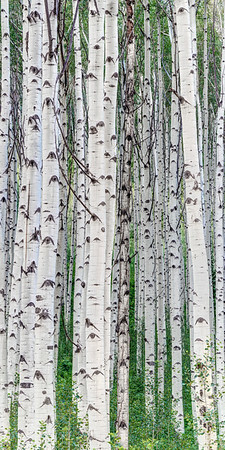 Although aspen trees are ubiquitous throughout major portions of the American West, it is difficult to find stands of them as thick, with trees as large as those shown in this photo. 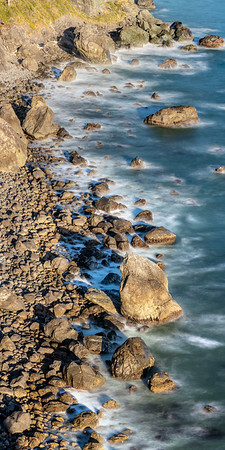 This is a perfect shot to hang in a stairway, or somewhere else that has a tall, but not particularly wide wall. Available in the following sizes (Panorama A): 10x20, 12x24, 16x32, 20x40, 24x48, 24x48 Triptych (3 x 24x16), 30x60, 30x60 Triptych (3 x 30x20), 36x72, 36x72 Triptych (3 x 36x24), 40x80, 40x80 Triptych (3 x 40x27), 48x96, 48x96 Triptych (3 x 48x32). 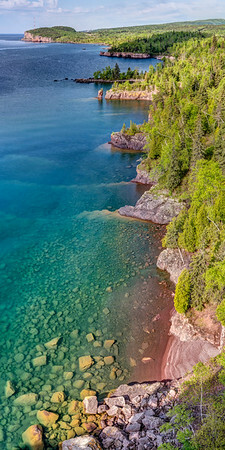 Shovel Point, in Tettegouche State Park, along Minnesota's beautiful north shore of Lake Superior, is a lovely view fairly easily accessed by a short hike. The view from Shovel Point stretches for miles in all directions, and allows one to truly enjoy the scale of this amazing lake. Available in the following sizes: 10x20, 12x24, 16x32, 20x40, 24x48, 24x48 Triptych (3 x 24x16), 30x60, 30x60 Triptych (3 x 30x20), 36x72, 36x72 Triptych (3 x 36x24), 40x80, 40x80 Triptych (3 x 40x27), 48x96, 48x96 Triptych (3 x 48x32). 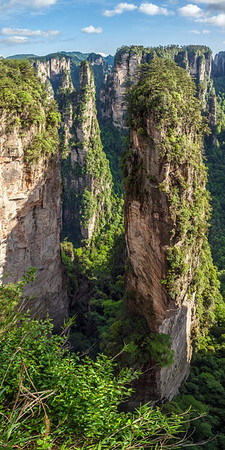 Zhangjiajie National Park, which is roughly a two-hour flight north of Hong Kong, is an otherworldly place. Major portions of James Cameron's 2009 “Avatar” were filmed here. It is frequently completely surrounded by and filled with clouds that make visibility impossible beyond a few hundred feet, but I was fortunate enough to have good visibility on the day that I took this photo. Available in the following sizes (Panorama A): 10x20, 12x24, 16x32, 20x40, 24x48, 24x48 Triptych (3 x 24x16), 30x60, 30x60 Triptych (3 x 30x20), 36x72, 36x72 Triptych (3 x 36x24). There are lots of surprises to be found on Utah State Route 12, in the southwest portion of the state. 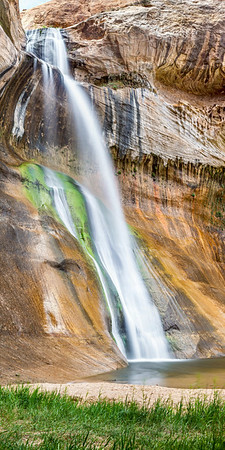 One of those is (Lower) Calf Creek Falls, which is an easy five-mile round trip, and a great way to stretch your legs in the middle of this spectacular 122-mile drive. Available in the following sizes (Panorama A): 10x20, 12x24, 16x32, 20x40, 24x48, 24x48 Triptych (3 x 24x16), 30x60, 30x60 Triptych (3 x 30x20), 36x72, 36x72 Triptych (3 x 36x24), 40x80, 40x80 Triptych (3 x 40x27), 48x96, 48x96 Triptych (3 x 48x32).